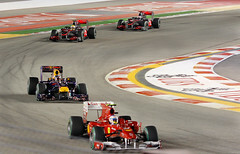 India now plans for its first Formula One Grand Prix motor race. Mr. Jaiprakash Gaur, an Indian construction billionaire and sports enthusiast is the one driving force due to whom this has become possible. Mr. Gaur is the founder and executive chairman of the Jaypee Group. Jaypee is an industrial and construction conglomerate. Presently, Jaypee is developing a “sports city” at Noida. This city will be a satellite town located at the eastern outskirts of New Delhi. Since he is a sports person too, he has provided a Greg Norman golf course and a 100,000-seat cricket stadium, along with the luxurious apartments in his Jaypee Greens Sports City. Also, this motor racing will be conducted in this stadium. Construction Major JAYPEE GREENS has announced the launch of SPORTS CITY KASSIA PERSONAL SUITE located along Yamuna Expressway in Greater Noida. Jaypee Greens Kassia is located in Jaypee Greens Sports City in close proximity to the upcoming Formula One Racing Circuit. It will also be close to boulevard style roads. 3 BHK – 1300 sq. ft.
4 BHK – 1800 sq. ft.
Rate : Rs. 2050 per sq ft.